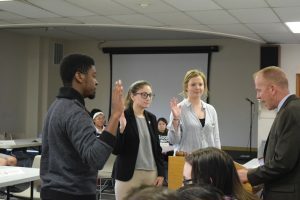 Megan Brezka was elected Student Body President last week. Photo via Megan Brezka. Walking down the hallway in Westlake, one may not realize they are in the presence of a president. Yes, the newly elected student body president, Megan Brezka. Brezka is a junior health science major chemistry and neuroscience minor for pre-med. She was recently elected to the position after a runoff election. When her win was announced, Brezka said she felt immense gratitude. 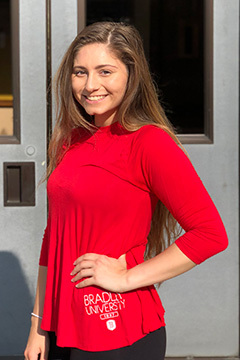 “I felt very honored to have been elected by my peers and that they felt I was the best person to lead the student body,” Brezka said. She has already made a plan for Bradley’s future. Specifically, she wants to increase Student Senate’s presence on campus, department proficiency and productivity within Student Senate and boosting morale and cohesion. Brezka narrowed it down to three specific goals she would like to achieve as president. 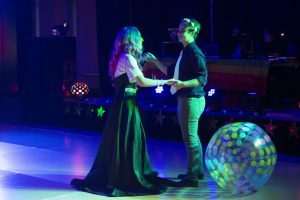 “Our student organizations do amazing work on their own and partnering with them and being able to support students and their endeavors they’re already going after, I think would definitely get our presence out there,” Brezka said. In addition with her first goal, she would like to promote communication between senators with students on campus. She also expressed the importance of concrete resolutions for ideas. Another one of Brezka’s goals entails the importance of a Student Senate that is together as one. “Senate has felt very segmented this past year with each department being very isolated from one another and my philosophy is people work together better when they know each other. So, I want to be able to provide our senators with opportunities to interact and get to know one another,” Brezka said. Brezka explained that she ran for president because she wanted to make a difference. She described Bradley as her home away from home for the past three years.